Hello Friends! Hope your holiday week was filled with good food and great friends, I know mine was. To catch up on the week here are a few tidbits I’ve been up to. EATING// Potbelly sandwich shop. 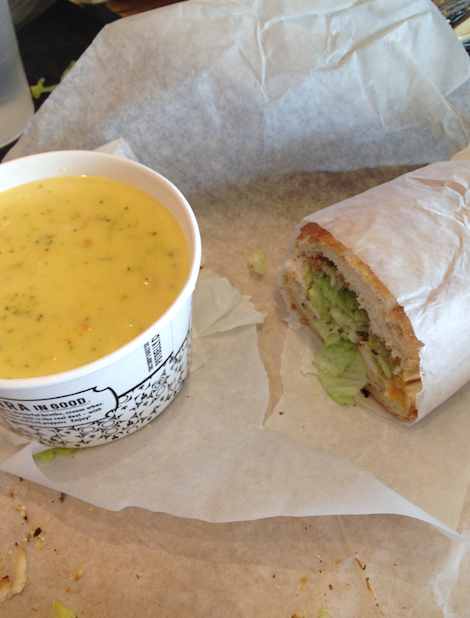 (now located in Omaha at 120th and Blondo) I was able to catch a lunch date with my dad on my day off school today and try it for the first time and it’s ah-mazing.I snagged a grilled chicken and cheddar sandwich and some broccoli and cheddar soup and it was very satisfying to say the least. They’ve got soups, salads, and sandwiches with a few smoothies and shakes to top it off. Stop on by and be amazed. And there you have it, just another week in the life of me! Hope your week is full of smiles and sparkles. Just 24 days left until Christmas!